I knew that to be in with a real chance of winning the match I would need to catch shallow. I arranged a practice session on the Friday before which seemed to go very well – learning a lot throughout the session. During the practice I fished casters and Adam fished pellets. It became apparent that casters caught a bit of everything but the pellets definitely singled out the f1s and as fast as the casters. With this in mind my plan was set! I also knew that if I did struggle that there would be a few fish down the edge to be caught, however these were just the same size as the shallow fish but with maybe the odd small tench amongst them. 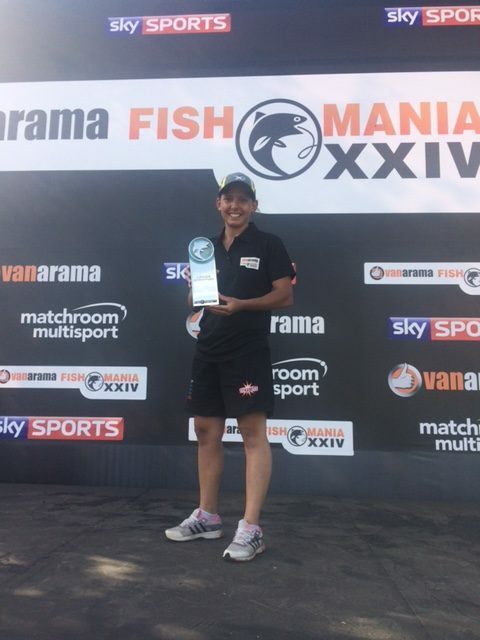 I was also reassured that if some of the other competitors started catching fish down the edge it was very likely they would also only be just averaged size fish. My plan was to fish pellets shallow to the far side reeds on whichever peg I drew. I was confident this method would work after checking the mid week match results as well as the weather forecast for the week. On the day I drew ball 2 which was permanent peg 34, the draw did not mean a lot to me so staying focused my plan remained the same. I set up 3 shallow rigs, a margin rig and a far bank rig. As soon as the match was underway I pinged 3 lots of 4mm XL pellets across the far bank , fed my edge line with Swim Stim groundbait and pinged a few more pellets across to the far side. First chuck I had one shallow and I had a feeling it was game on! 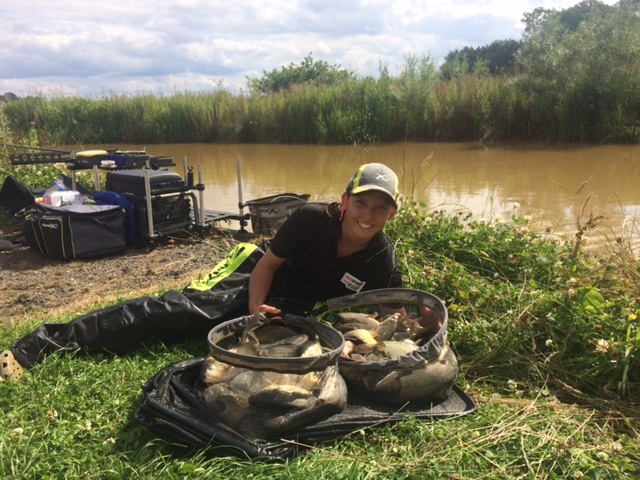 In the first hour I had 33 fish – all f1s! In the 2nd hour it was consistent managing another 30. By then the crowds started to gather and Sky TV came and tried to interview me but the signal was not good enough – with all this going on in the last 2hrs it slowed right down, I was only picking up the odd fish in spells. I finished up with 97f1s and a nice carp. I also hooked a 4lb+ carp just before time that I had to put back as it was not out before the all out! Luckily it has not cost me and I went on to weigh 36.3kg which was enough to win and beat Helen Dagnall in 2nd place with 23kg. I was over the moon!